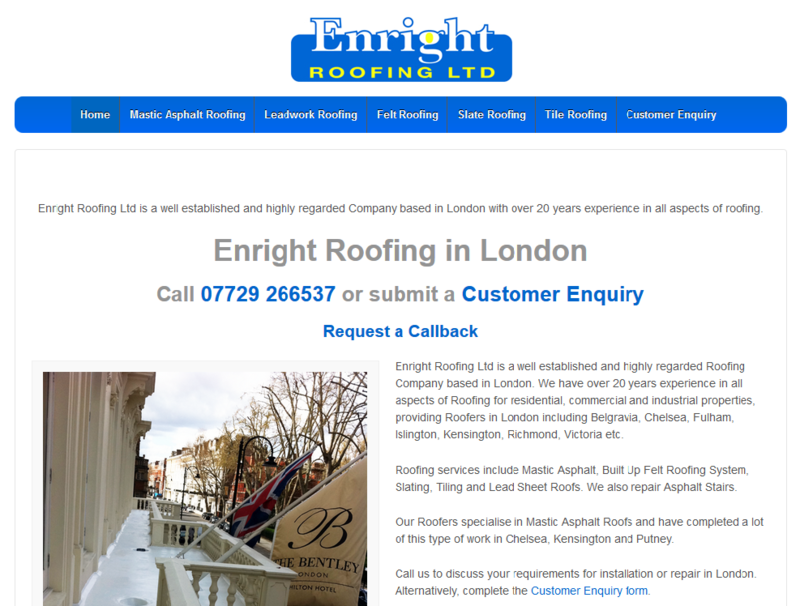 Enright Roofing (Asphalt Roofing & Leadwork) in London. Abbey Wood, Albany Park, Barnehurst, Belvedere, Bexley, Bexleyheath, Blackfen, Blackheath, Bromley, Charlton, Chislehurst, Crayford, Dartford, Eltham, Erith, Falconwood, Kidbrooke, Lee Green, Lewisham, New Eltham, Orpington, Sidcup, South Darenth, Welling and Woolwich. Copyright © 2019 Webglow Ltd. All rights reserved.